Inside: Songs about perseverance through heartbreak from when you feel you can’t go on until you change your dreams. 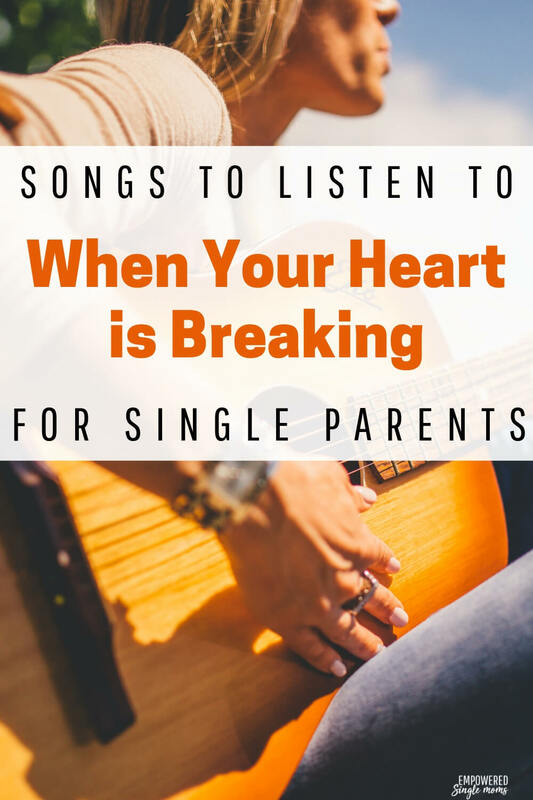 When your heart is breaking songs can be a great way to heal your broken heart. Sometimes songs help me. When I feel like the only one dealing with something hard a song will remind me that someone else felt like this before me and persevered through the pain. Sometimes a song will give me hope or inspire me to keep going. I wanted to share songs to inspire you to get through heartbreak and I wanted help picking the best songs for you. 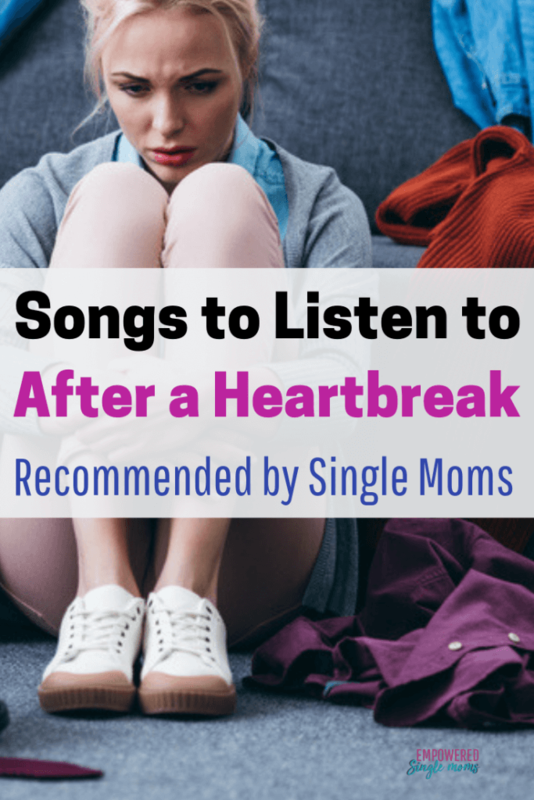 I asked my private Facebook group, Empowered Single Mom Tribe what songs inspire them to keep going when their heart is breaking and they feel like giving up. Here is the list of songs they shared with me to share with you. This one is slow and mellow. When you feel like the only one who just wants to give up and can hardly get off the floor or out of bed. For when you need a good cry and to know someone else has felt the way you do. You wanted it to last forever, but the relationship broke. When you feel like you just can’t go on, but you must keep going. Another good crying song when getting over something or someone feels like hell. You will probably cry when you listen to this one, but remember he wasn’t what you thought and letting go of a relationship that doesn’t work is the first step in building your new life. When you’ve hit the bottom. Just don’t stay stuck here. Remember there is hope. If this is how you feel keep going down the playlist, ‘cuz you need hope. This is a great song to inspire you to move on. Inspires you to take back your life. You will be okay not matter what. To help you realize somethings were not meant to be and letting go you start to find yourself. Another song to help you move on. When you need to reclaim your power this is the song for you. Reminds you can do this. You can do this. Just keep going. This is a great affirmations song. Reminds you your life will get better. Get’s you in touch with your own power and how can you not feel better listening to Beyonce’. Great affirmation that life will get better, but you need to have a positive attitude and what else, but keep your head up. 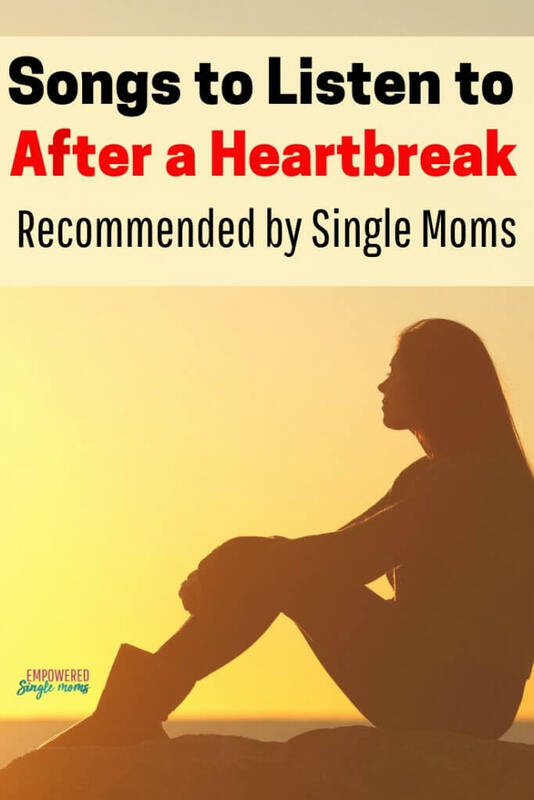 As a single mom, your plan A didn’t work out. These songs will inspire you to dream a new dream. Remember life will get better and you are in charge of making that happen. To remind you that life is meant to be lived. Another great affirmations song. This one reminds you life will get better. To remind you that sometimes a loss is what you need to try new things. This one is a real country heartbreak song, so skip it if country music isn’t your thing.